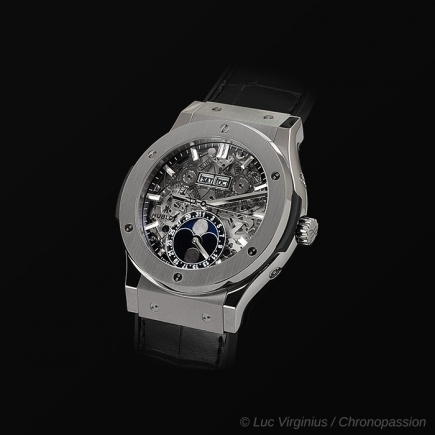 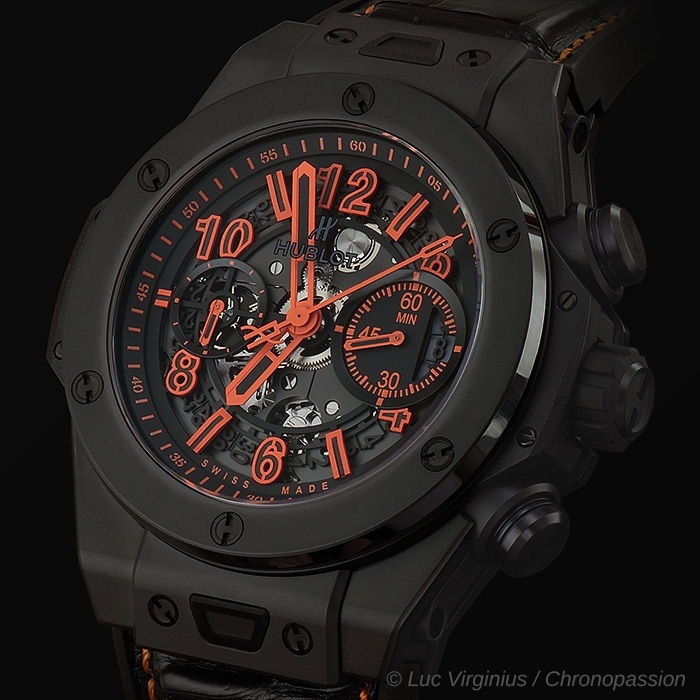 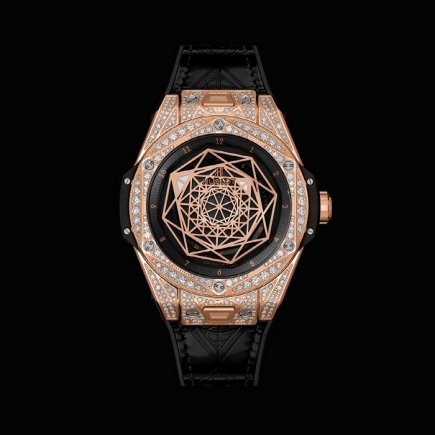 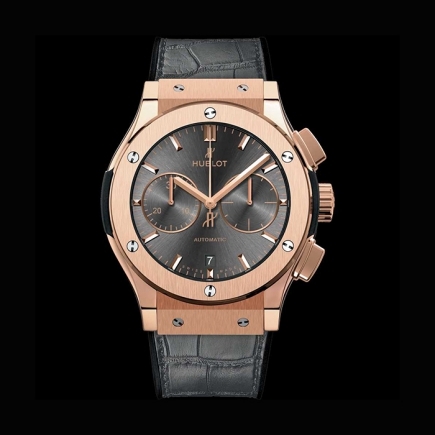 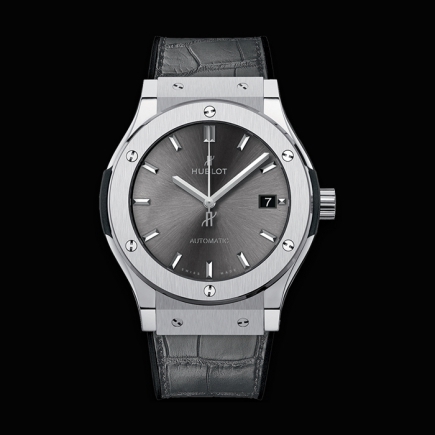 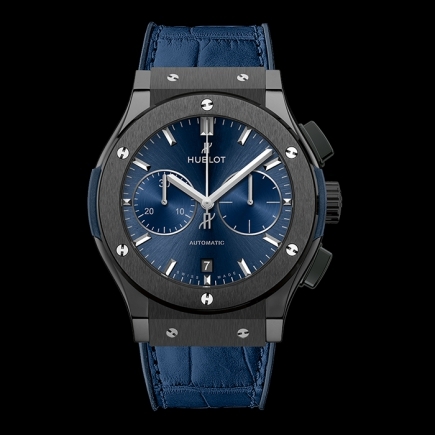 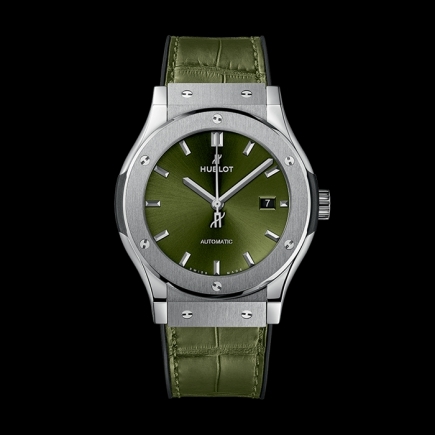 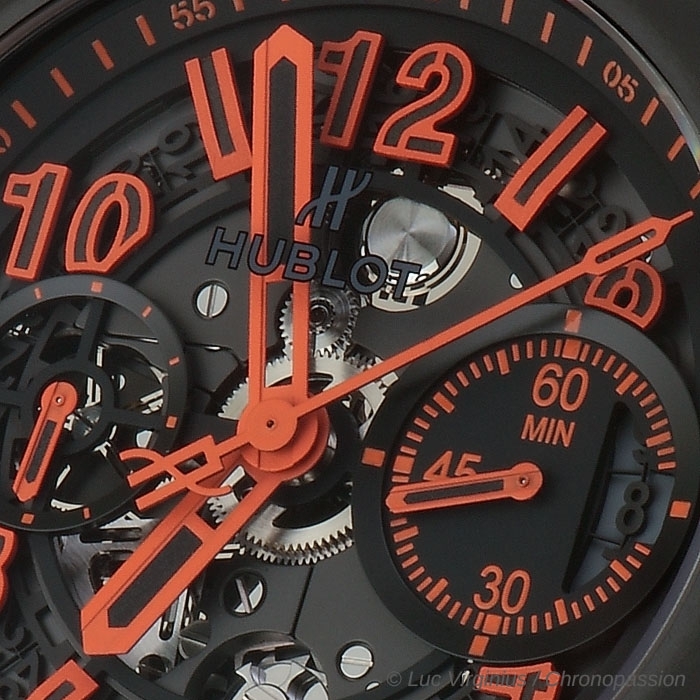 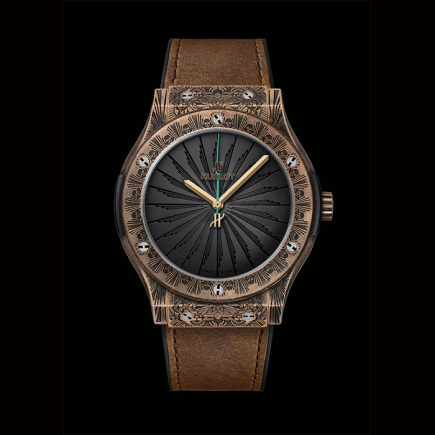 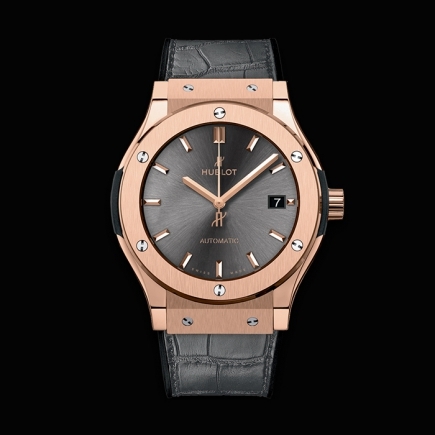 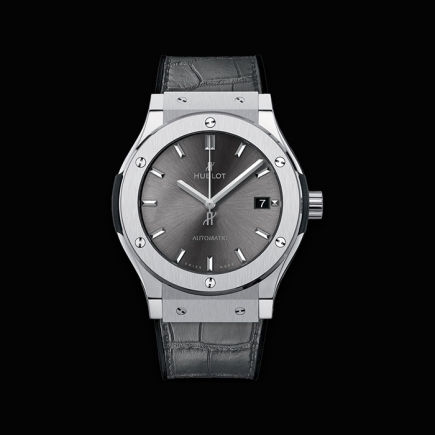 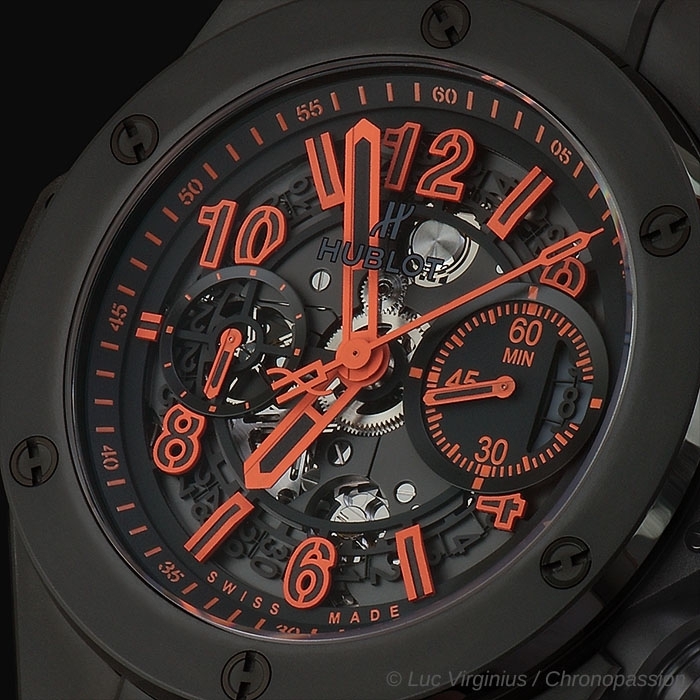 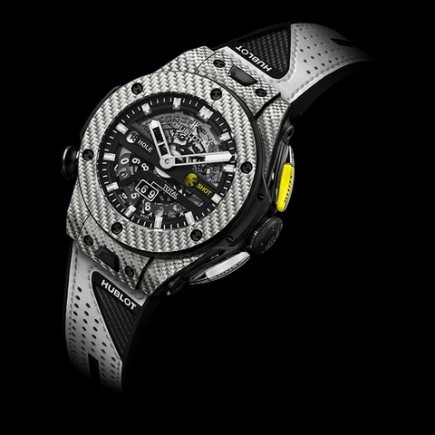 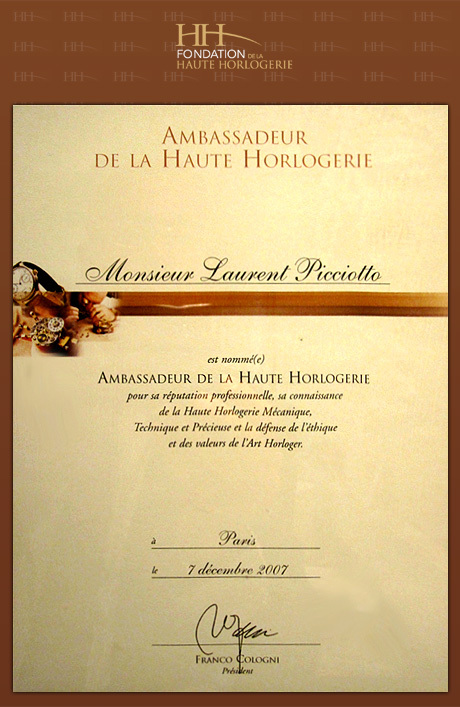 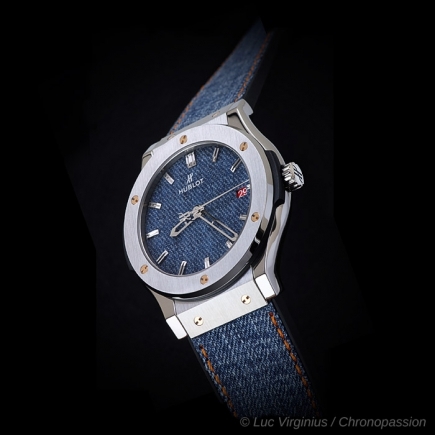 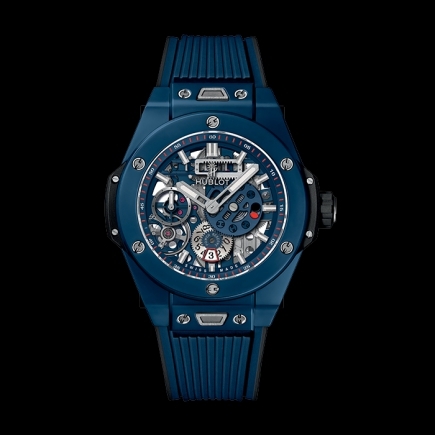 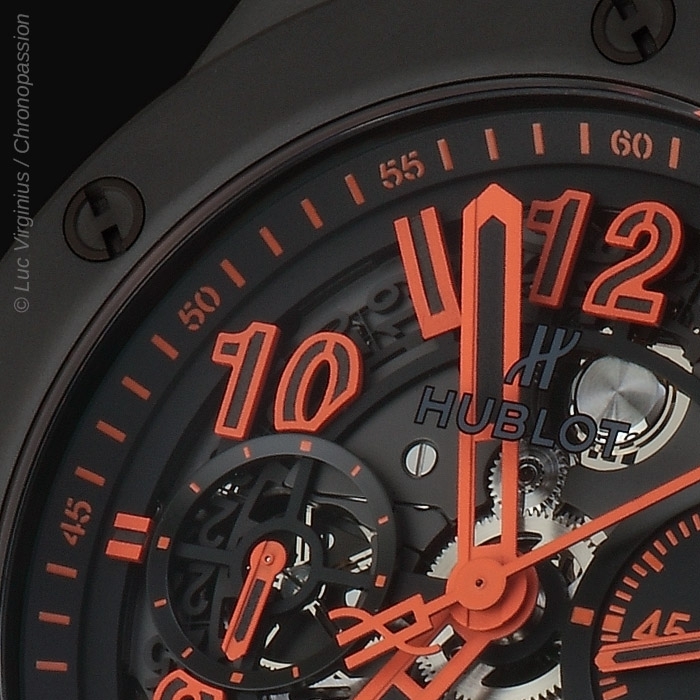 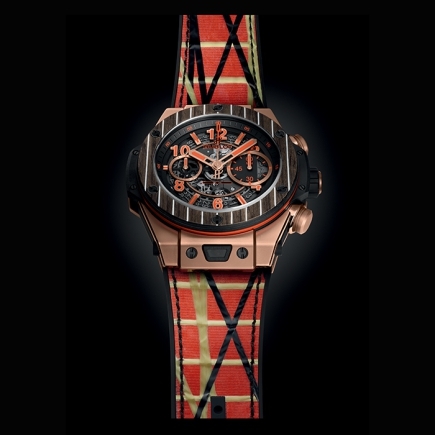 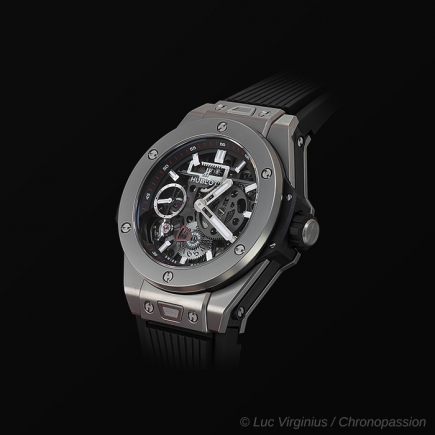 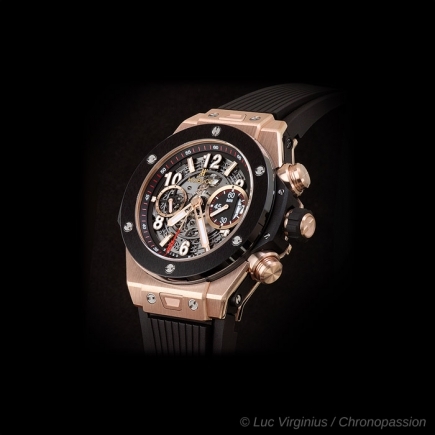 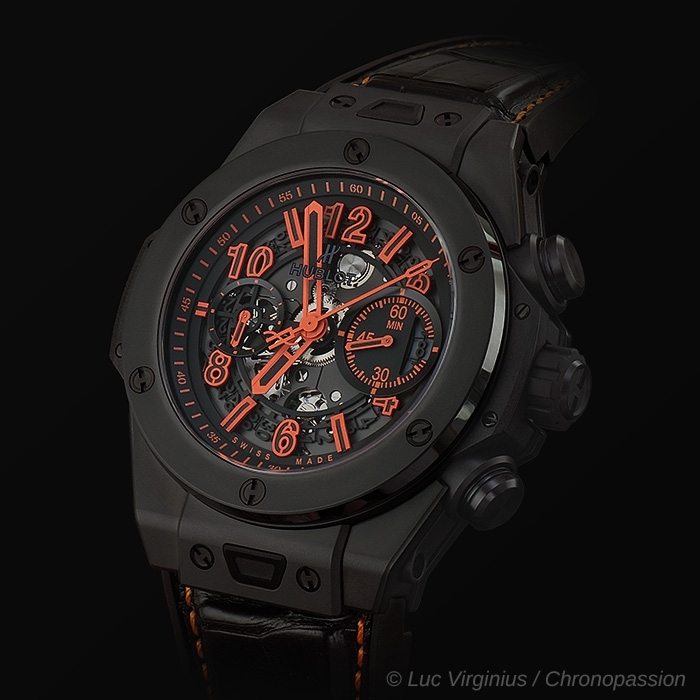 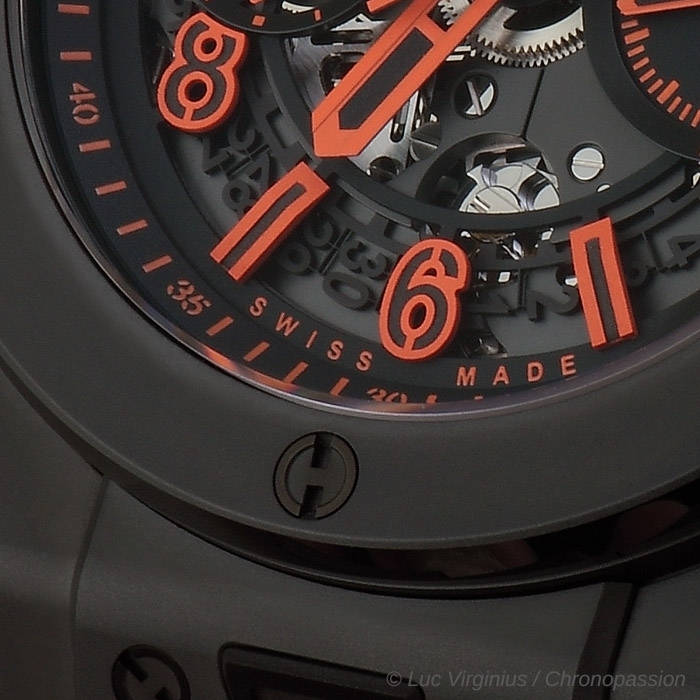 hublot | 20'100 € Tax inc.
provides a guarantee of performance. 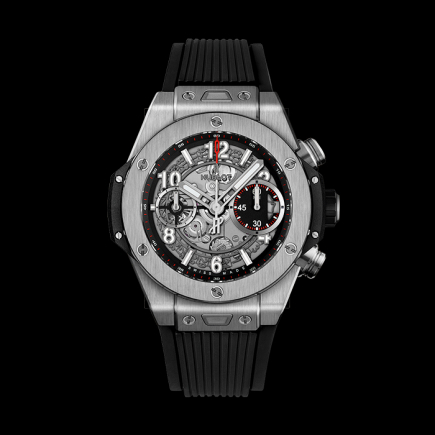 The movement's 330 components benefit from high precision and reliability, with several of them produced using LIGA technology. 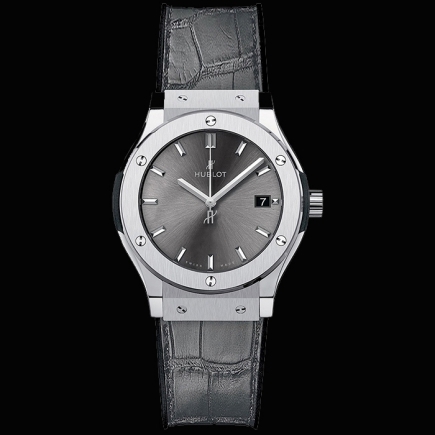 Its frequency of 4hz/28,800 vibrations per hour and its immaculate finish are also a guarantee of high chronometric quality. 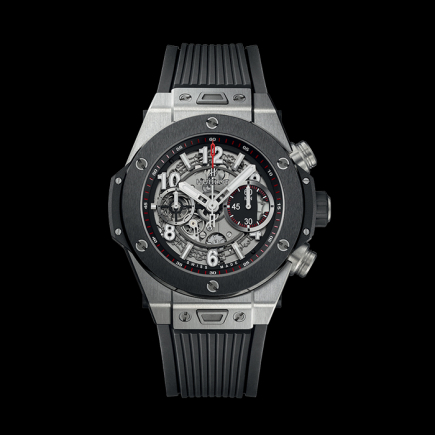 Finally, its automated production, which includes automation of the machining, stone fitting, oiling and numerous assembly operations also ensures consistent, controlled quality. 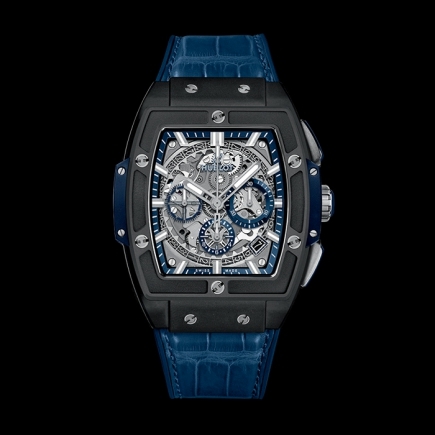 Its power reserve is around 72 hours. 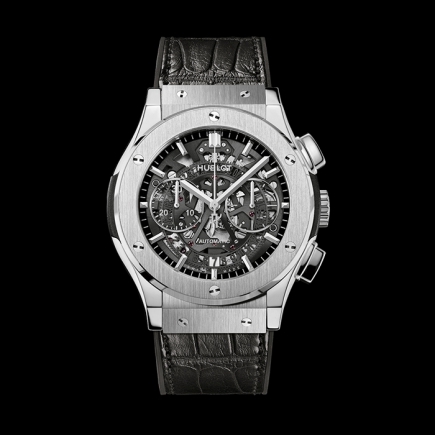 In short, the entire piece has been conceived and designed to reflect Hublot's pure DNA: sport, performance and technology. 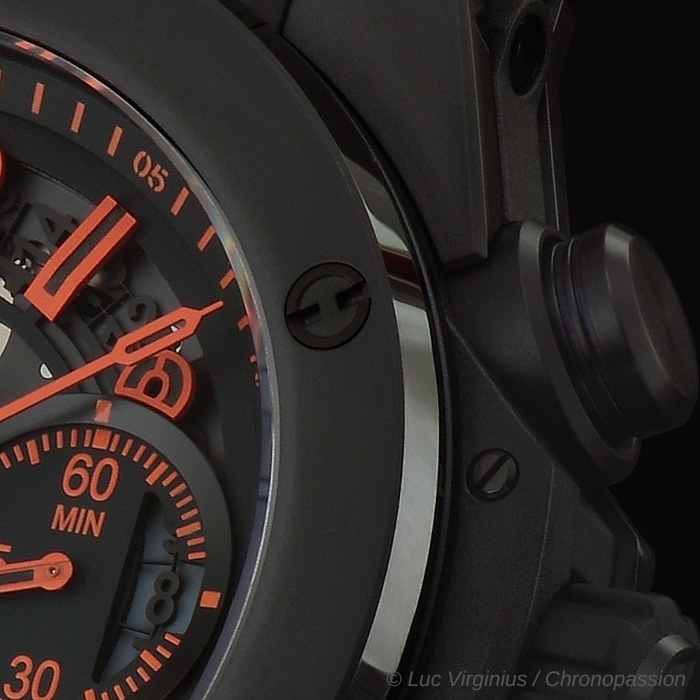 No useless gadgets. 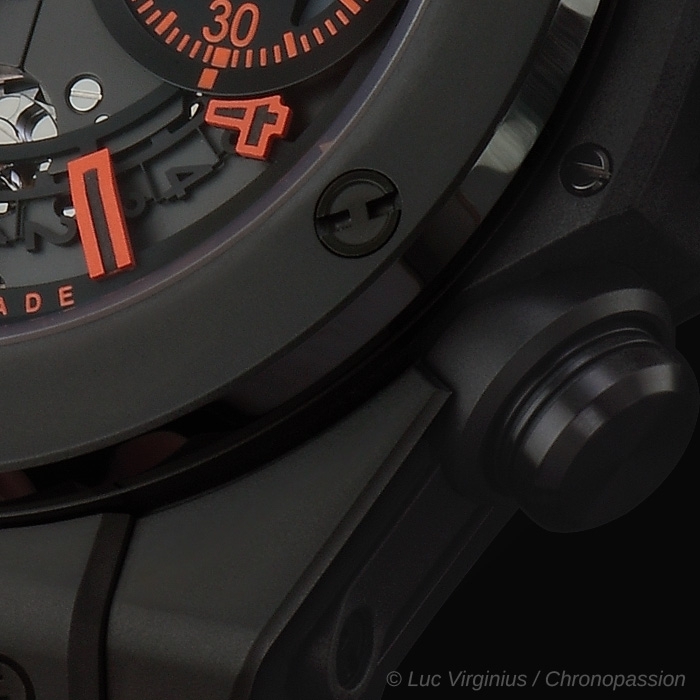 The design is stylish, practical and rational.